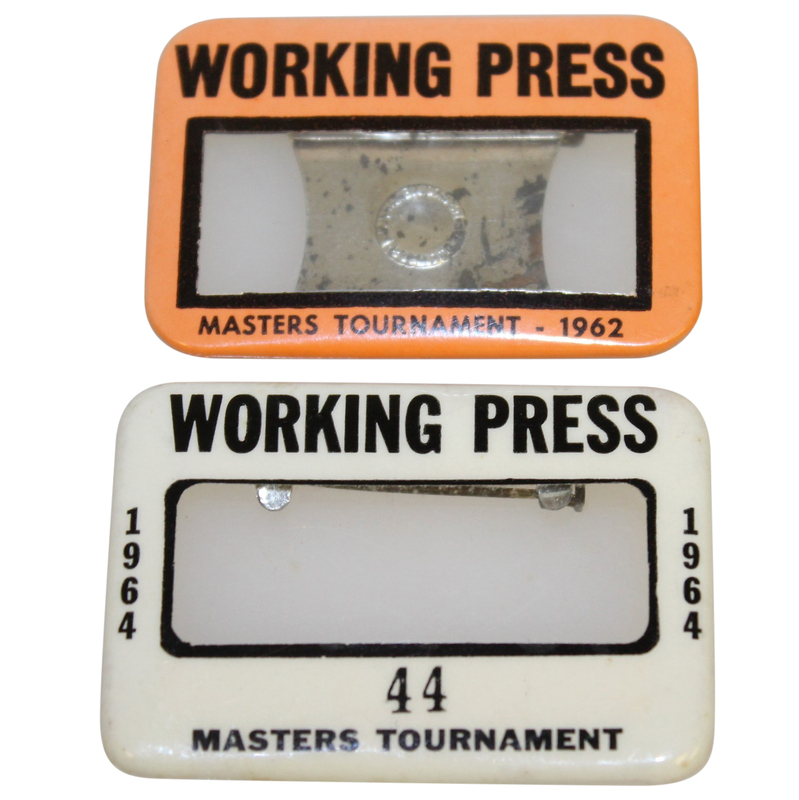 Featured are two Masters Tournament working press badges. 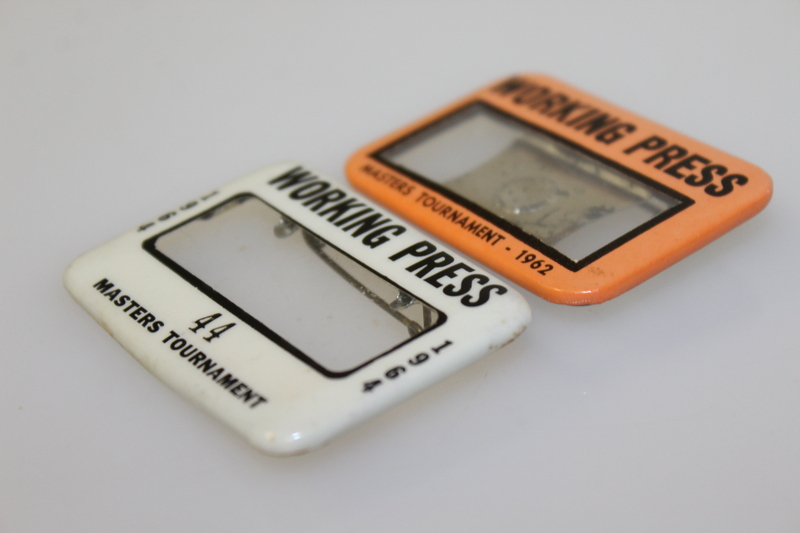 The champion of both of these tournaments was Arnold palmer. The King earned his third Green Jacket in a Monday 18-hole playoff over defending champion Gary Player and Dow Finsterwald at the 1962 Masters Tournament. In the 1964 tournament, Palmer became the first four time Masters winner convincingly, six strokes ahead of Jack Nicklaus and Dave Marr. 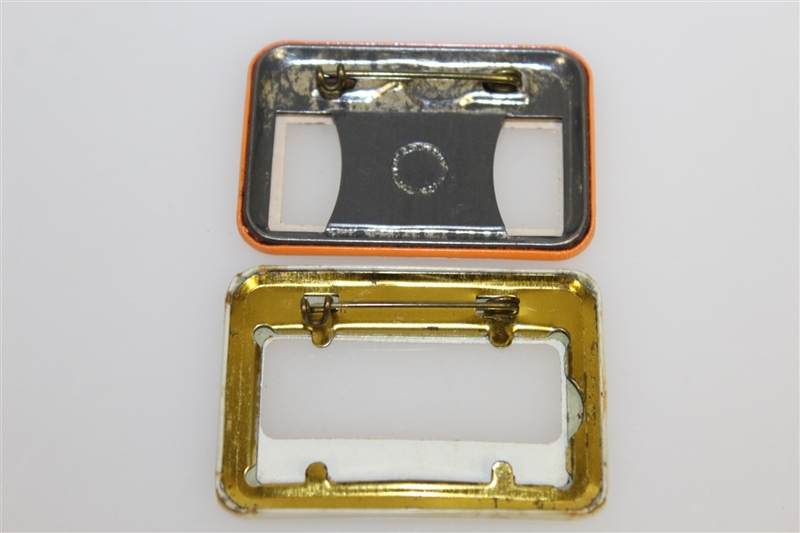 The 1964 badge is #44 and is slightly curved on bottom edge. See photographs. Overall, both badges present in great condition with original pins intact.